When Tony Abbott first stood for prime minister, he complained about the price of bread. He told the leaders debate it had shot up 12 per cent. It hadn't. The Bureau of Statistics found it hadn't increased at all – it had been stuck for a year at $3.88. 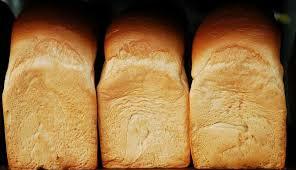 Head to Woolworths online today and you'll see a variety of prices, for different kinds of loaves. I've averaged them. Today's price is $3.55. We never seem to notice the prices that are going down, or at least we pay far less attention to them than the prices that are going up (or that we imagine are going up). The inflation rate is 1.8 per cent. But when asked by the Melbourne Institute what we think it is, we typically say 5 to 6 per cent. The Bureau of Statistics calculates the rate by going into shops and entering into scanners the prices of around 1000 items. It does it over and over again, all over each of Australia's eight capital cities. These days it augments those readings with scanner data from supermarkets and the prices advertised on websites. But it gets it wrong. And not in the direction you would expect. It systematically overestimates the inflation rate because it systematically underestimates our canniness. Here's how it would work with two brands of baked beans. To start with they might each sell for the same price, and we might buy the same amount of each. Five years later the price of one brand might be 20 per cent higher and the other 5 per cent higher. The Bureau will record an average price increase of around 10 per cent. But the cost to us won't have increased that much. Over time, we will have shifted our purchases to the brand which has increased more slowly, by 5 per cent. We do it with everything, switching between brands and between products in order to save money. It's how we shop. It is why every few years the consumer price index gets seriously out of whack and needs to be recalibrated. The Bureau has just done it, re-surveying how we spend our money and readjusting the index to reflect updated spending patterns. It used to do it every five or so years. From now on it'll do it annually. The Reserve Bank believes that by not taking full account of our canniness, the Bureau has overcounted inflation by 0.4 percentage points. In other words, it thinks our cost of living has climbed by 1.4 per cent rather than 1.8. And it has a provided a guide to the ways in which we have changed our behaviour. The price of tobacco almost doubled between 2011 and 2017. As a result, we cut back on smoking. The Bureau's inflation figures took account of the first but not the second. They had us spending 4 per cent of our budgets on cigarettes when we had actually been spending 2.5 per cent. The price of electricity climbed 40 per cent. The Bureau took account of that, but did not take account of the ways we cut back on our use of electricity, making the increase matter less. The price of audiovisual and computing equipment almost halved when adjusted for things such as speed and memory. As a result we bought more of it. The Bureau's figures didn't take account of that, meaning they've underweighted the impact of those lower prices on our budgets. Other things changed because we changed. Rent become more important to us because more of us rented. And rents are barely moving. International travel become more important to us because we have become richer. And while its prices have been bouncing around, they've changed little for the last four years. You probably still think you are badly off. You probably are, because your income is barely climbing. But as best as they can be measured, your expenses are under control.